I hate it when this happens, because the curatorial role involves lots of different things and it can be hard to summarise them in any kind of concise and intelligible way. Different museums expect different things from curators, which will usually depend on the rest of the staffing structure. So when I answer I can only really answer for myself and what I think MY curatorial role entails. The most obvious responsibility is “curating collections”, which is not actually an explanation in any meaningful way. To curate more or less means to “take care of”, but these days the museum sector has become professionalised and there are other specialists who take on much of the duty of care; conservators, collections managers, documentalists and so on. What I bring to the care side of things overlaps with these roles, but my spin is to bring subject specialist knowledge to the mix. This allows me to help other departments by providing them with useful information. For example, non-specialist staff will largely have to go by what’s written on an object label, whereas I am expected to check that information and challenge old taxonomy and misidentifications. I may also provide additional or new information about objects by researching their history or identifying parts of their composition. The Natural History specimen had originally been mislabelled by the original supplier as the skull of an Andean Condor from Bolivia, which I had spotted and corrected to Lappet-faced Vulture (a species from Africa) after a bit of research. 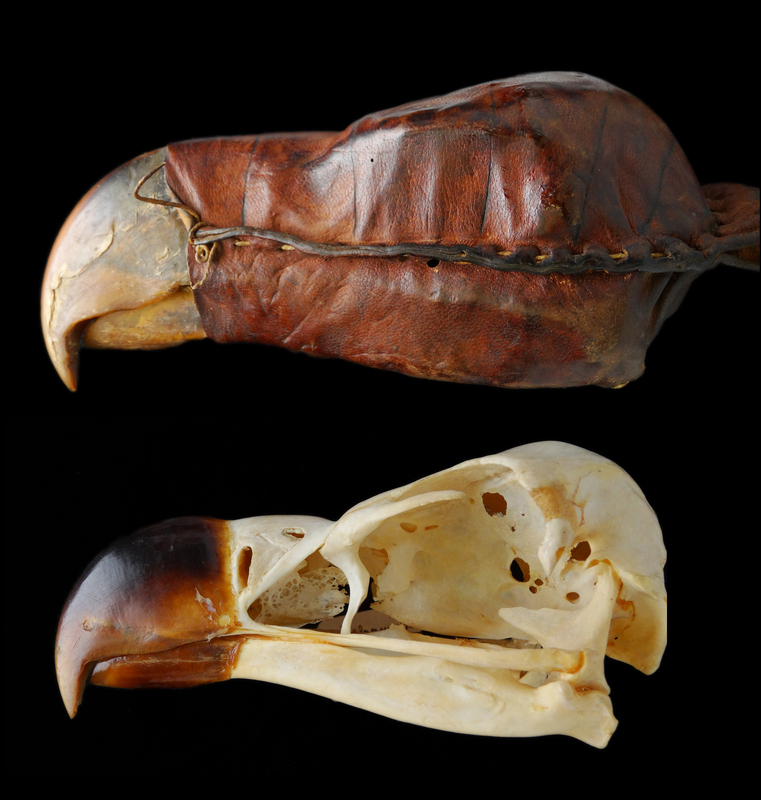 The Anthropology specimen was originally identified as being an ‘eagle skull’ charm from Nigeria and it was simple to provide a more detailed species identification after having done the work on the Natural History specimen. This sort of fact-checking and enrichment of data is essential for museums if we are to provide an accurate, reliable and authoritative resource for our audiences. The same need for fact-checking also applies to quality television programmes, so it is perhaps unsurprising that museum curators will often be involved in documentaries, either as a presenter (like George McGavin or Richard Fortey), an expert that gets wheeled in to provide context (I think all curators have done this! 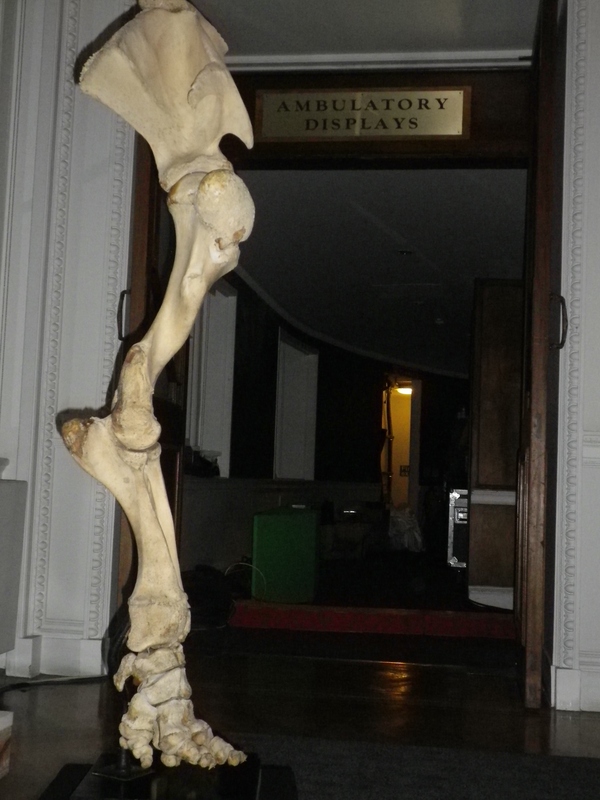 ), or as a shadowy figure behind the scenes baby-sitting an object or advising on content (I was scientific advisor for Ben Garrod’s excellent Secrets of Bones for example and I have fond memories of fiercely guarding an Indian Elephant leg at the filming of the Royal Institution’s Christmas Lecture “Why Elephant’s Can’t Dance“). I’m all for getting collections used like this, since I think that the real value of collections lies in their use. This may be scientific, educational or artistic use – it doesn’t matter which, as long as the use doesn’t significantly compromise the objects and contributes to a wider understanding or appreciation of the world. In some cases you can manage both – a project I’ve been involved in with fine art photographer Sean Dooley is a good example of this. Another large part of what I do is science communication. Museums were one of the earliest methods by which the general population could access decent quality information about the wider world and, despite the rise of the telly, museums still serve as an important interface between the academic world and the public. For me science communication and museum advocacy goes beyond the museum walls and 9-5 working hours, so I also organise free monthly science-related events in a London pub, I’m a trustee of the Natural Sciences Collections Association, I do evening talks all around the UK, I tweet and of course I am a #MuseumBlogger here at Zygoma. This last activity has been both hard work and incredibly enjoyable. The hard work comes from the discipline required to organise and write a weekly blogpost, while the enjoyment has come from the fantastic community that has developed around the Friday Mystery Object posts (which have now been running for about five years). I’ve found that my knowledge has increased a huge amount and I’ve been able to encourage and help support other people in their interest. My favourite example of this is Jake, who has been reading my blog since he was seven! 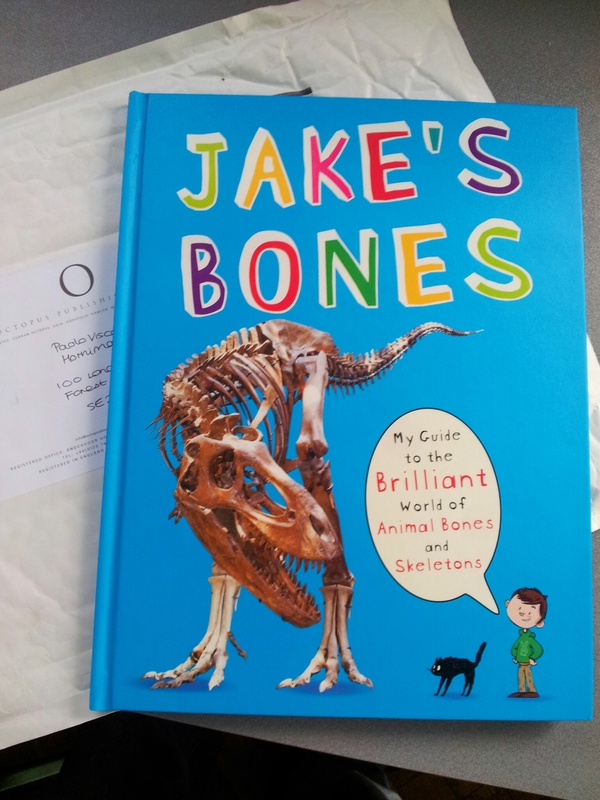 Now he’s twelve and has already published an incredible book on bones that I was lucky enough to be able to help with. It’s the unexpected things like this that make blogging so worthwhile and which make my job the best job in the world! *my job title is actually “Deputy Keeper of Natural History”, but that’s a term even less familiar than “curator”. Why not just tell them you cure natural history? Explain that history is unstable when fresh. It needs curing to settle as fact. Without this crucial step, so much weird crap gets established and believed, it ends up as religion. If he did that, there won’t be Post like this. Lol. But you’re right. Thanks for the explanation. I bet it feels good to locate a misidentified artifact. Like finding gold. It’s a good analogy – one of my favourite misidentified specimen stories is related in my 84th mystery object answer: https://paolov.wordpress.com/2011/02/28/friday-mystery-object-84-answer/ it was so satisfying I remember it clearly from 3 years ago! It seems like you’re having a fabolous job. Thank you for the inspiration. Glad you enjoyed the post. As with most jobs it’s as much about the people you work with as it is the job itself. 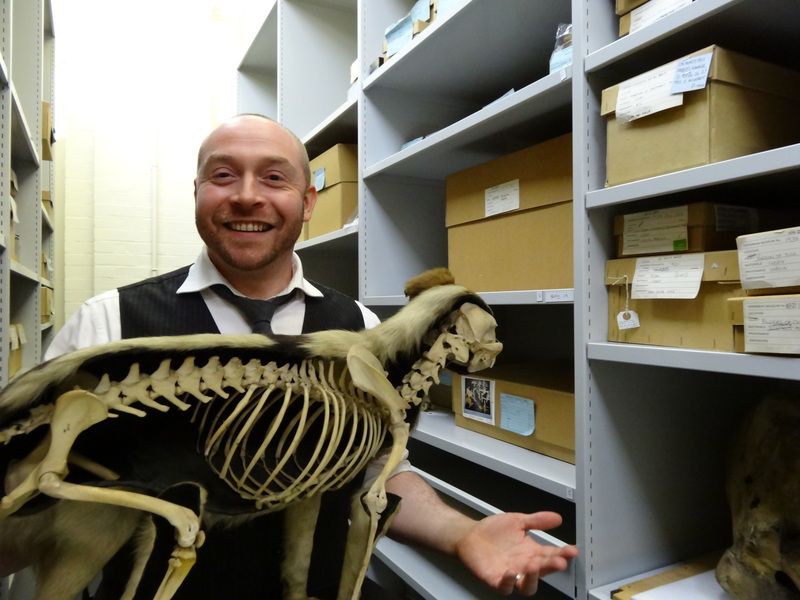 The Horniman has great collections and brilliant staff, which makes it a fantastic place to work! I suppose you’ve heard about Drumheller, Alberta where they have a fantastic world class research facility, conservation and museum on palentology –aka dinosaurs. I had no idea but then maybe you’ve been to Alberta’s /Canada’s Badlands already. I’ve heard of Drumheller, but unfortunately I’ve not been. Sounds like an awesome facility though! To my mind curation is partly about making objects work for their keep – I think they can do that through social media really well. Museums have amazing things and people love seeing images of, and learning about, amazing things through social media – it’s so obvious to combine them! Pingback: What is a curator? | Librarian to be. . .
Reblogged this on Life of Neutral Hues. I really enjoyed this article! Glad it was featured. I only had a loose understanding of what a curator did, but this was very enlightening. A couple of weeks ago I saw an article on an exhibit that was opening in Eastern Canada. It was about GIANT INSECT sculptures! So I found a picture of the exhibit and wrote a satirical article on the subject, with a SLIGHTLY different angle. The entire thing is from a CURATO’S point of view, so I thought you might like to see it. I hope my lack of knowledge (at the time!) was good enough. Ha ha! Thank you! And thank you for following my blog too! 🙂 I’ve followed yours too. I don’t know what I want to do for a living, but I know this: I want to be the guy in charge, I want to have creative license, and I want it to be enjoyable. That’s why I enjoy blogging and do it daily — I can have all of that on my own terms. …I don’t think they let you START as head curator, do they? Heh heh. Such an interesting job role which is both educational and inspirational ! All the best, mr curator! Cheers, from a deadpan boring MSOffice-reliant administrator who hates handling phone enquiries from lazy people. This was so interesting! And I really appreciate the amount of outreach that you do. I think that’s so important in showing that museums are not just places where dusty objects sit behind glass. I found the timing of your blog interesting to me. I was just in San Francisco and a friend announced he was going to be a curator for a large museum. I thought this sounds like an easy job. Then he told me his responsibilities and one was that of being a fundraiser. Being a curator sounds to be like a lot of fun and responsibility too! Thanks for sharing your blog with me. What a fantastic job you have, this was great to read about. What is your background/how do you become a curator? I studied biology/geology joint honours, then did a postgraduate research degree in animal physiology. Much of my work involved using museum collections and I spent 4 years teaching undergraduates using the Leeds University biology museum (now sadly closed), where I also volunteered. I then got an entry level 6-month maternity cover job at the National Museum of Ireland where I was able to get some great experience. They managed to keep me around for a few years in the end, which provided an incredible grounding in the museum world. Hey Zygorma I just want to say I love your blog its awesome bro!! If your ever in Queens ny check out The Museum of the Moving Image you’ll love it!! I’ve not been to Queens in over a decade, but if I get back I’ll be sure to check it out! Reblogged this on History Source. I found this both interesting and interesting. I wonder how much out there is wrongly labeled? Do you find any conflict with some who insist on an item being taken correct when it is obviously wrong? First, congratulations on being Freshly Pressed. Third, I have a question I have always wanted answered. You might be able to point me in the right direction. What percentage of our fossils on display are real, and what percentage are cast replacements? Hard to be entirely sure about percentages of fossils on display that are casts vs real as it will vary considerably between institution and the type of material being shown. For smaller specimens of inverts etc. you will tend to have the real thing and many permanent displays of large material (like dinosaurs) that have been installed in the last few years have tended to use real material – partly because there is more decent real material available than ever before. It also helps if you’re in the right place – so parts of the USA and Canada, China and South America have incredible fossil localities and the collections tend to reflect that. In the UK and Europe we don’t tend to get as much of the big showy stuff being well preserved, so we have fewer real specimens on display. Touring/temporary exhibitions are more likely to made up of casts and older exhibition spaces also tend to include a lot of cast material as it’s less important, easier to move and assemble and it costs less to insure and hire. I personally think that casts serve a useful function (after all, there are limited numbers of real specimens of some fossil species, but those species might be pivotal in our understanding and explanation of evolution – like Archaeopteryx), but they will never have the gravitas of a real specimen. That is the best answer so far! I studied museology and archaeology for a year,I understand how difficult the curating process is,but interesting too.well explained to the public…loved the post. Reblogged this on M.B. Scully. I’m sorry if you already answered this, first time I have across your blog. What degree do you have? thank you for sharing. that is very cool. I was just curious because I am interested in the library/museum field. Reblogged this on Narraciones, Versos, Prosas y Arte, por Dany Brown..